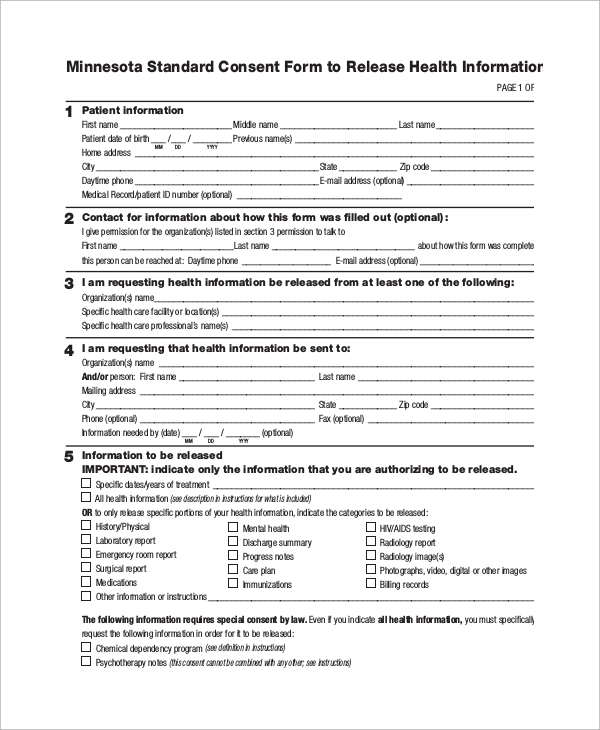 The release of information form is used when you are going to submit a written request to a body, an organization, your insurance provider, your work organization, or some government body to release some information. 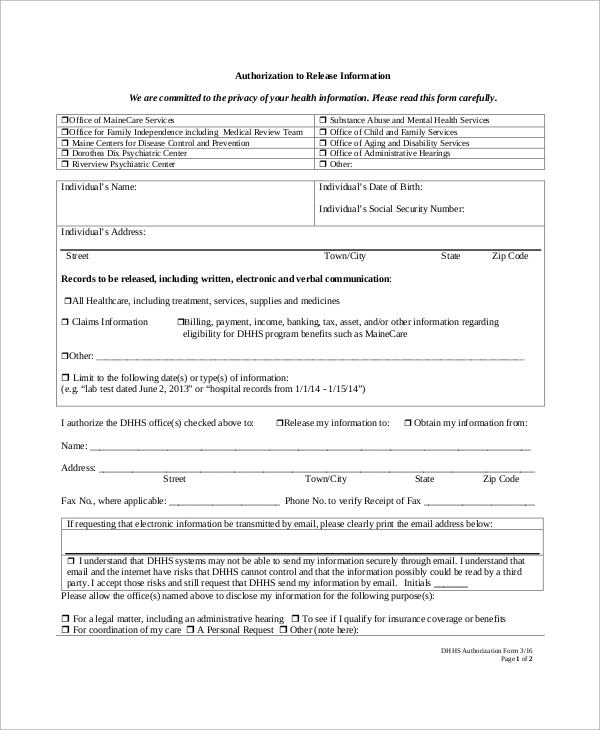 Information about anything, which can be about career, civil records, credit score, health records, etc.format, can be obtained when you submit this form to the authority. 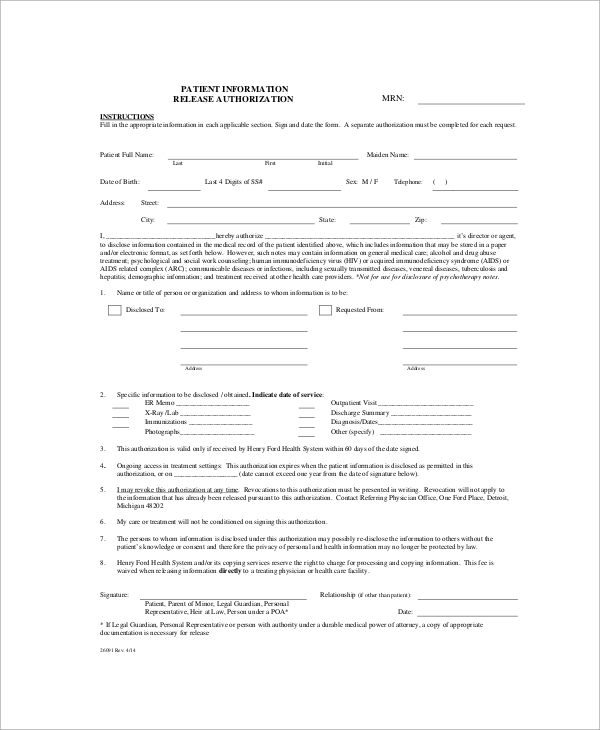 The several formats of the release of information forms are available as the Sample Forms. 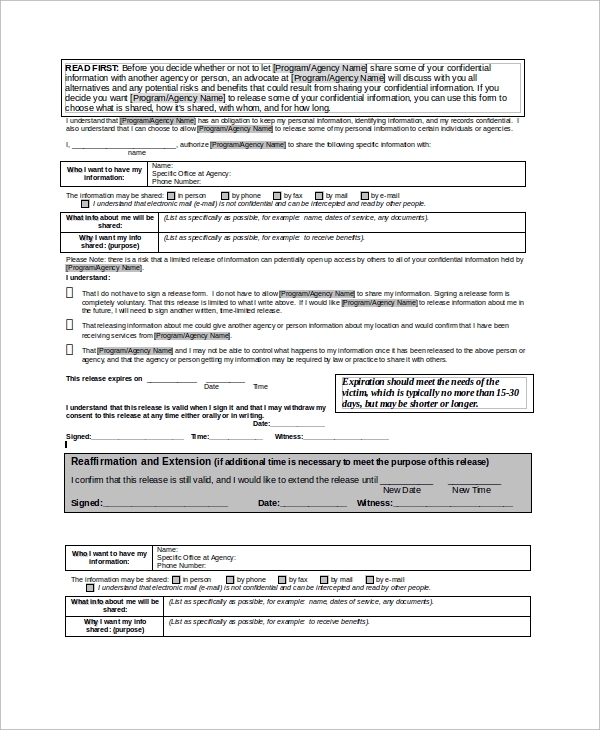 This is a regular form which is one of the general formats for getting a release of your information can be used to submit to any organization for the purpose. 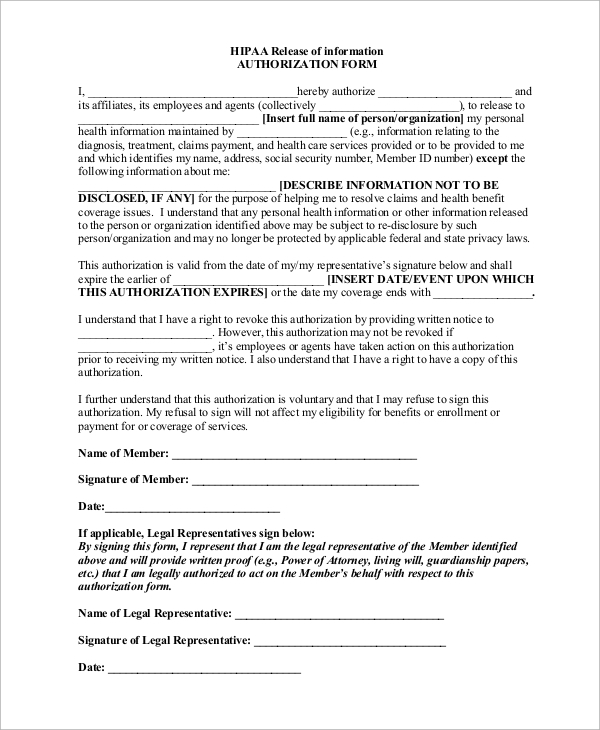 The authorization to release information form can be used when you are going to authorize somebody to release your information to some other party. The sample form format is here and it can be used for such purposes. 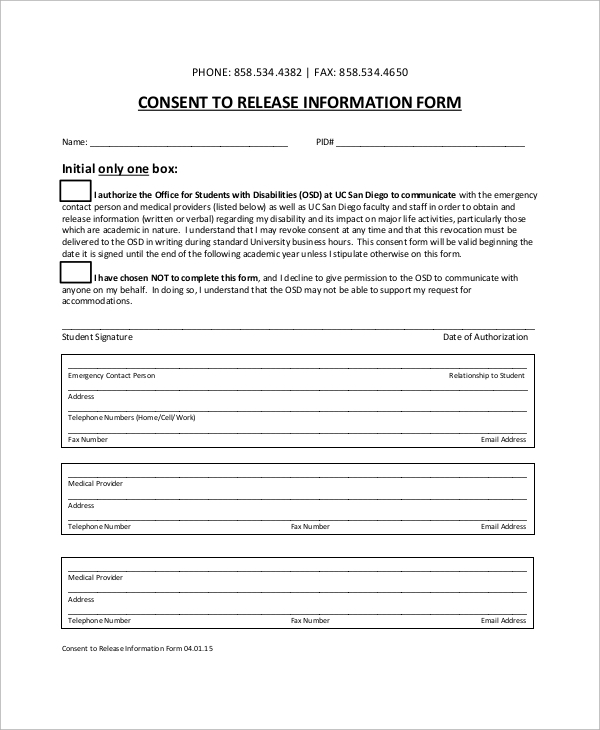 If you have to give consent to the release information form is submitted, you may then use this format. This for will help you to show documentation that you have given your consent for the disclosure of information against the request submitted. 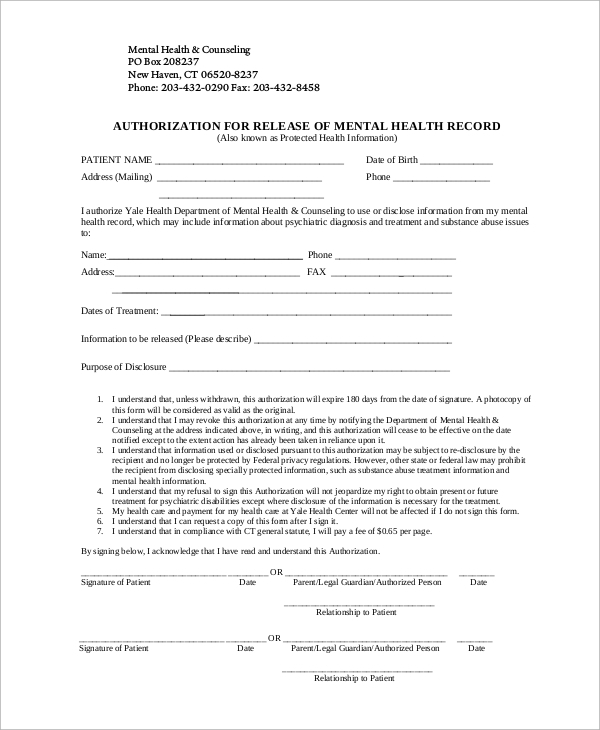 If you have to release information regarding mental health from any institution, then you will have to use this form. The sample format is here. 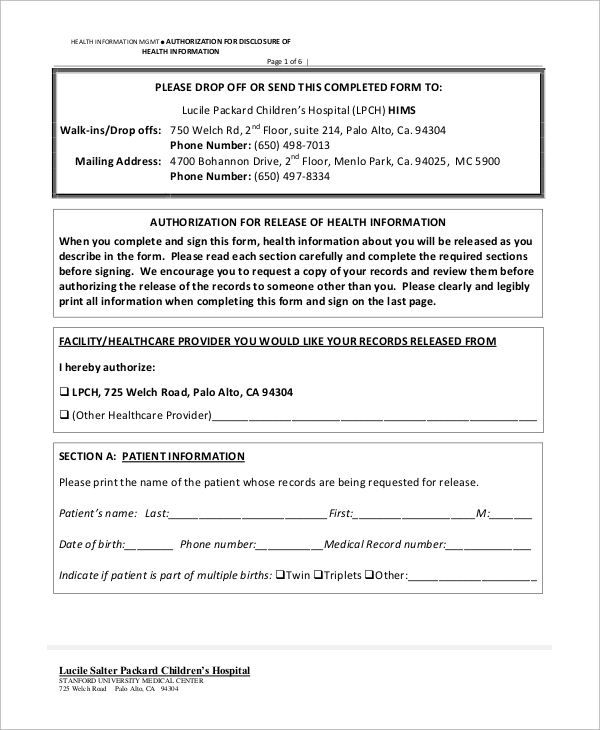 The Hipaa release of information form is for the help of Hipaa rule enacted medical records, and to release this information from your old insurance provider or old employer, you can use this form. What is the Release of Information Form? The release of information form is a much required format, which you can refer to when you really need to get some vital and protected information released from the records of an organization or institution. This requires a written submission of application with proper request, facts and signatures, and also needs consent against the submitted form so that the final release is processed. Hence, this form has great importance in giving you a good format and saving your time. Your time gets saved when you use the already purpose specific forms by downloading them for free. You can also see the Film Release Forms. The release form gives you a compact and organized format to state all your details in order without missing any fact or data, and your request and application is completed fully with the format. 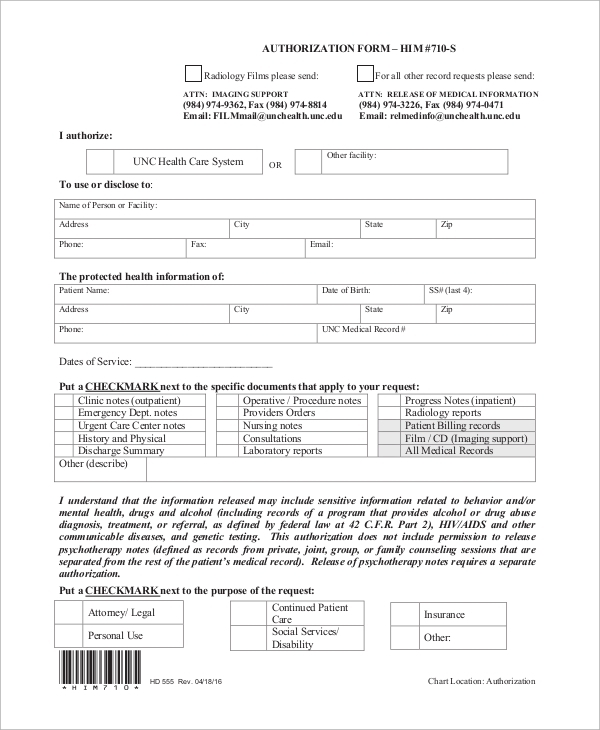 The form will act as a proof that you have applied for the release of information, and if you keep a received copy of it, you may later prove the fact. It is one of the legally right ways to apply for the release of information and cannot be challenged. You may use this free format as often as you want whenever you are in confusion about how to write the release of information application. There are various form formats, and you can get release of information and Talent Release Form templates, all free of cost. Hence, the availability of important forms and formats, which will facilitate your applications with employers, government bodies and other organizations, will always be there with the rich template resources.